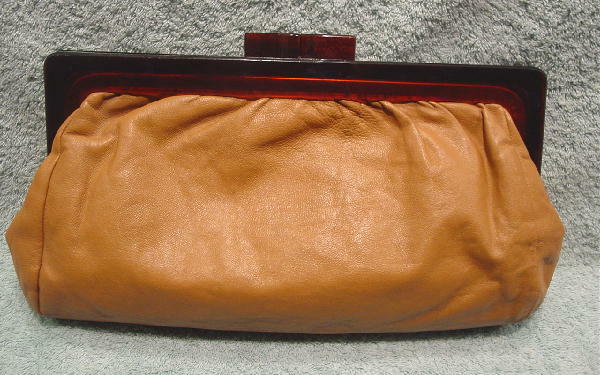 This vintage caramel color leather large clutch was made in Italy by Axiom. 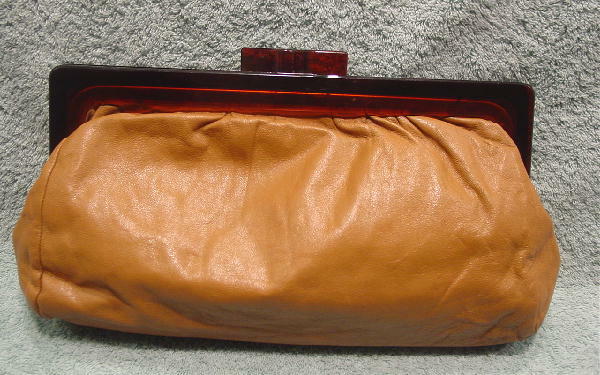 It has a large multi-tone lucite (plastic) rim and bypass closure. There is a black manmade material lining. The lucite has some surface line marks. There are several small darkish spots on both sides. It was used once, in a magazine photo shoot.